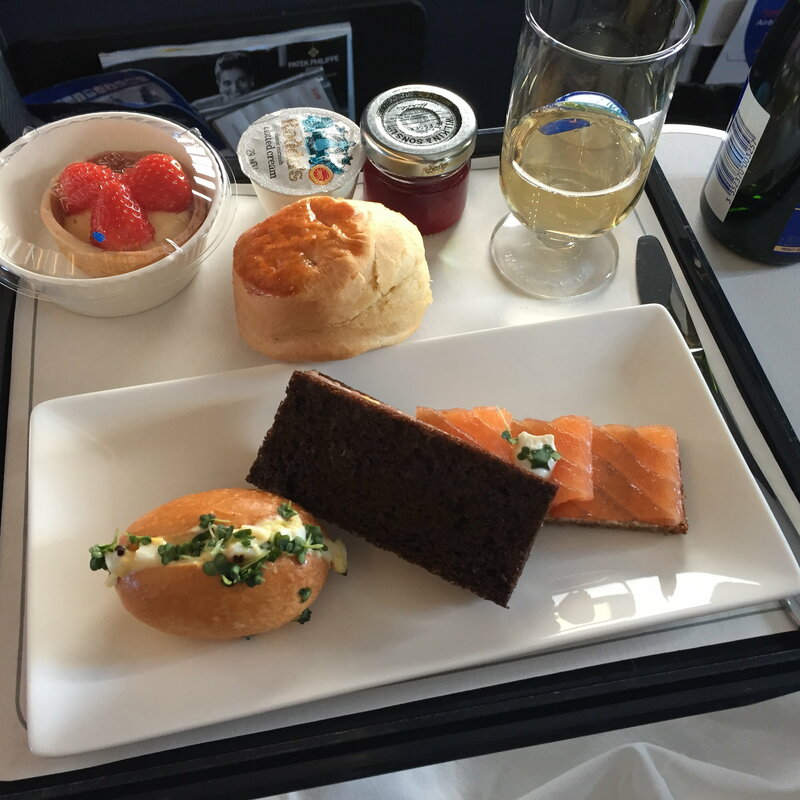 LGW Band 2 Afternoon Tea flight. 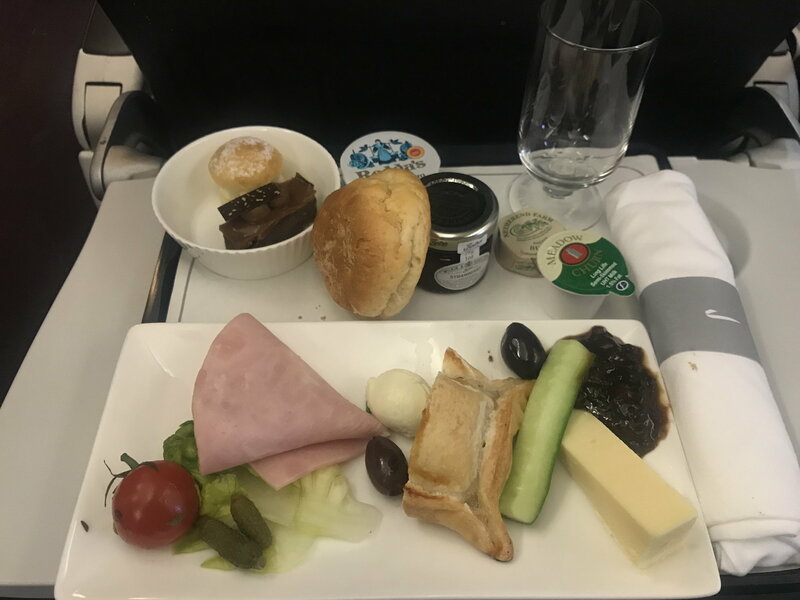 The LGW Ploughmans remains a sad, tasteless plate, though at least scones with jam and clotted cream are restored. For those interested, the butter was English and salted. 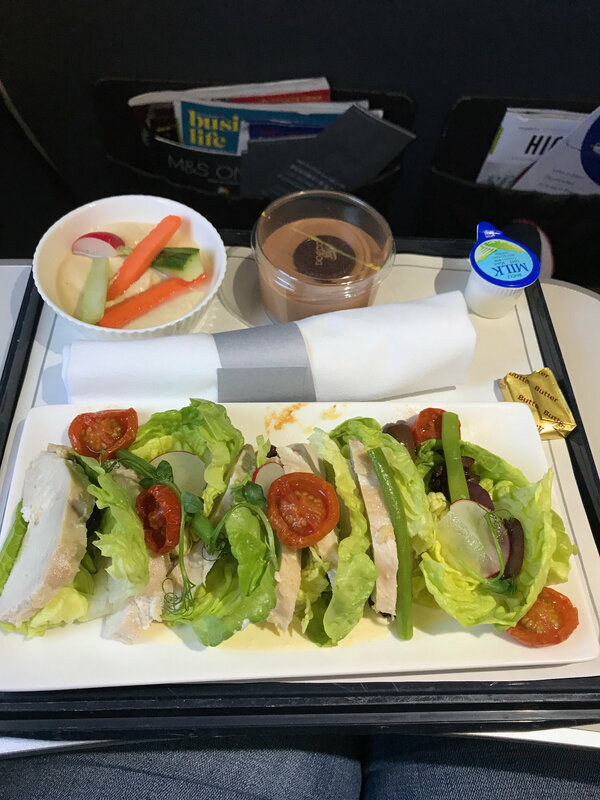 The afternoon tea sandwiches option looked more appetising than before (didn't taste them, but now including a section of wrap and a roll), though they remain tiny, if anything smaller than before. LGW Band 2 Evening flight. Still not acceptable to me that there is no hot option on a 2h30 block time evening flight, these LHR/LGW Band 2 flights remain the short haul catering losers. 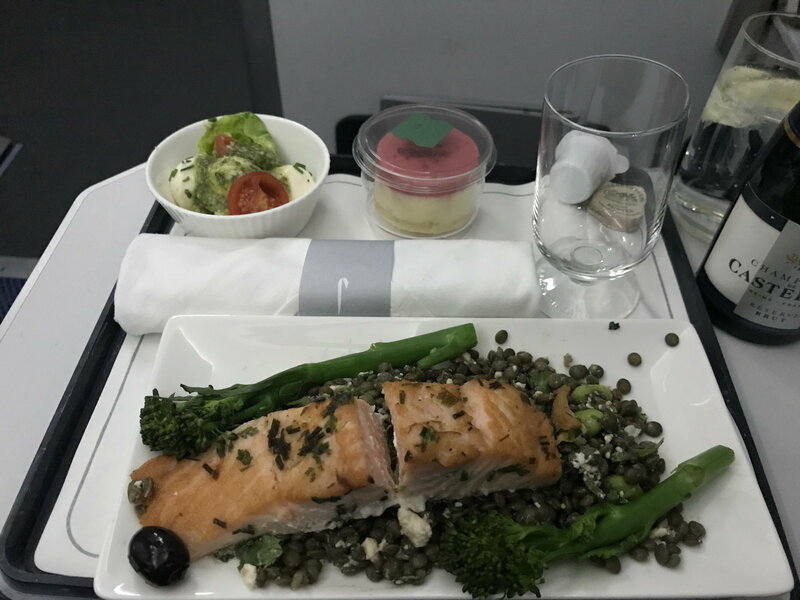 The portion size is improved, but this salmon and lentil salad was pretty bland. The little mozzarella & tomato with pesto starter wasn't bad once it lost its chill. Prospero and orbitmic like this. 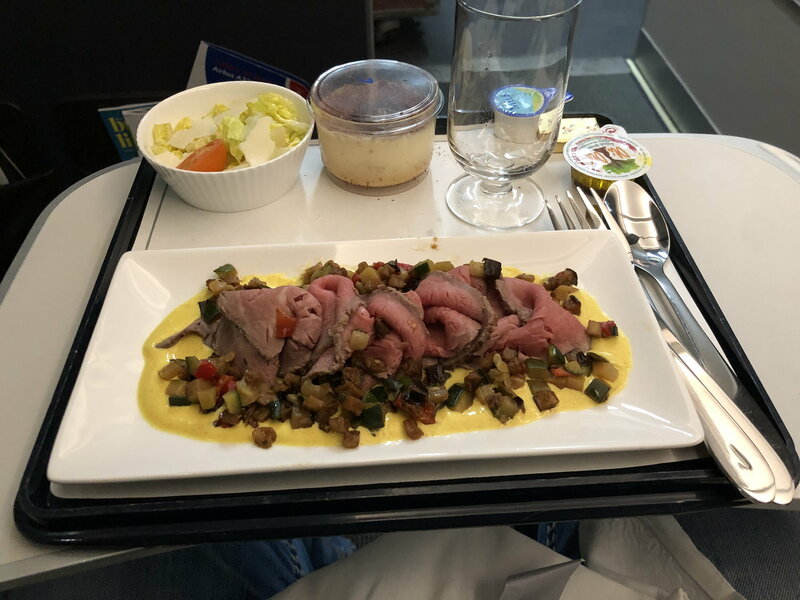 Last meal I had on a BA flight was 2 years ago in club and the food on the LHR - HEL today was I feel better than that, slightly less in terms of volume but taste was good. The Banoffee Pie was a bit loose/sloppier than I had expected. 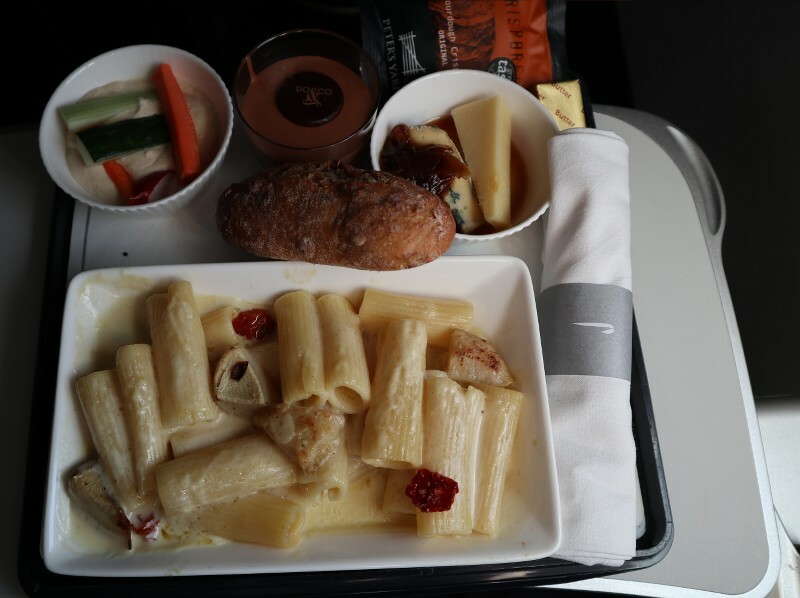 Service wise on a 3 hour flight - seemed to take 2 hours to do the CE cabin but it was 12 rows long and looked full, trolley had to negotiate the toilet queue and keep refilling with dishes. No idea what choice level was towards the back. BA1469 INV-LHR 21/11. Nice veg salad. BA 447. AMS-LHR. Beef salad, quite good. The dessert was very runny. 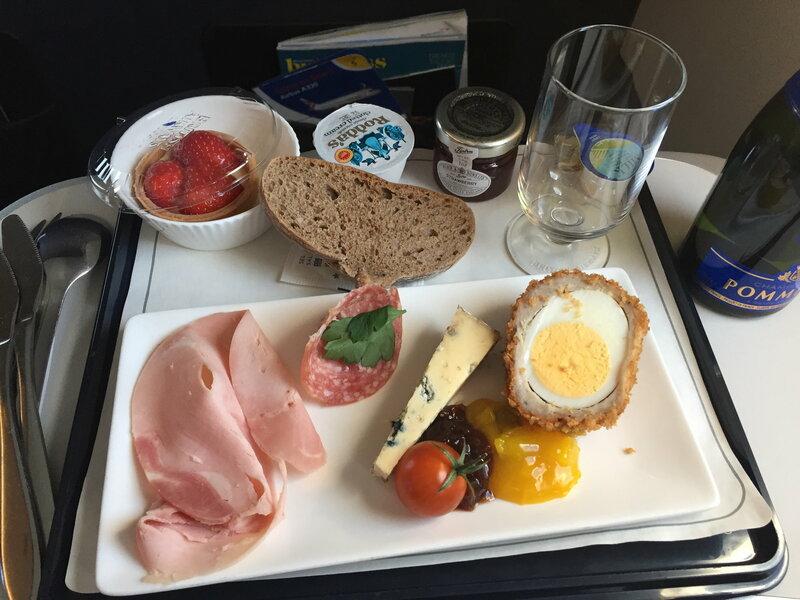 Band 2 - afternoon tea and ploughman's - 1410 LHR to Vienna - Saturday 24 November. Both were delicious and the scones were light and warm. Prospero, Sealink and Telecasterman like this. 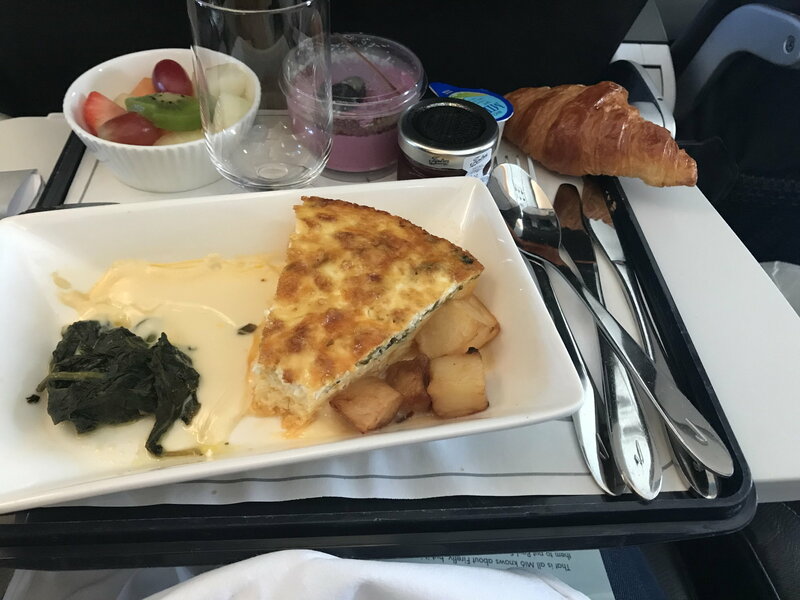 Yesterday in BA 675 (IST-LHR) departing at 10:00 they only served breakfast. According to this guide, shouldn't they have served the "rest of the day" offering? 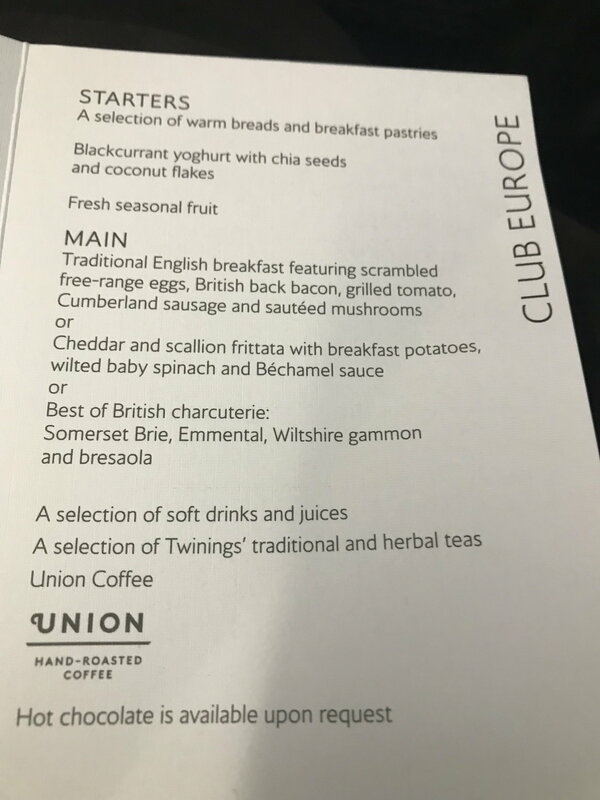 There's a note about this in Prospero's post above, but IST is a exception to the usual timetable - it's a night stop that leaves unusually late in the morning, due to a combination of the crew rest requirement and the 2 hour time gap between LHR and IST. So consequently they serve the small tray night stop breakfast and relatively late in the morning. Prospero notes that this is perhaps insufficient food for a trip of this length, so if you have been on this sector recently you may want to provide feedback along those lines. Thank you! Is the note in the wiki? And I will provide feedback, I think it is insufficient too. Band 2 Vienna to LHR 11.30am* (yesterday). 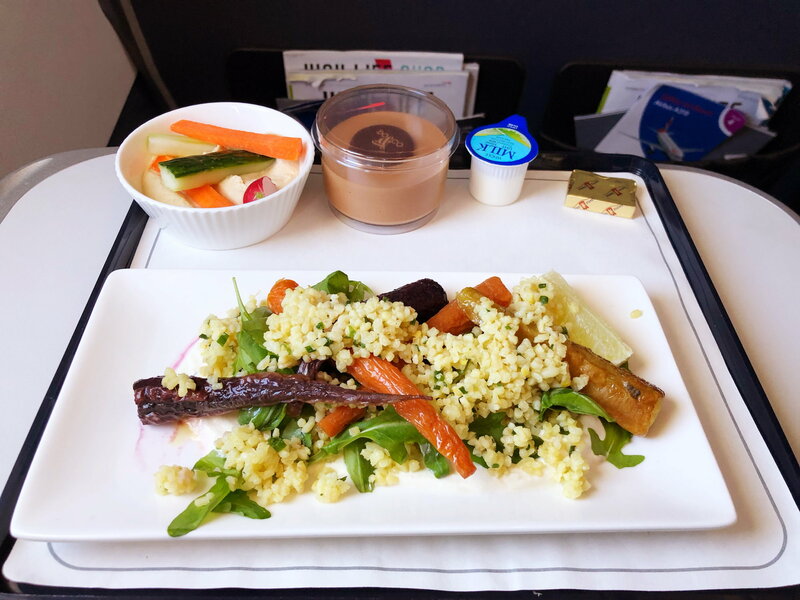 The choice was chicken salad or bulgar wheat salad. We both chose the chicken. My lettuce was on the older side being quite brown and wet in places but the 20 olive halves (I did count them) may have contributed to that. I can't say I've ever had a beef salad to start and a chicken salad as main before. Is salad/salad an odd combo? 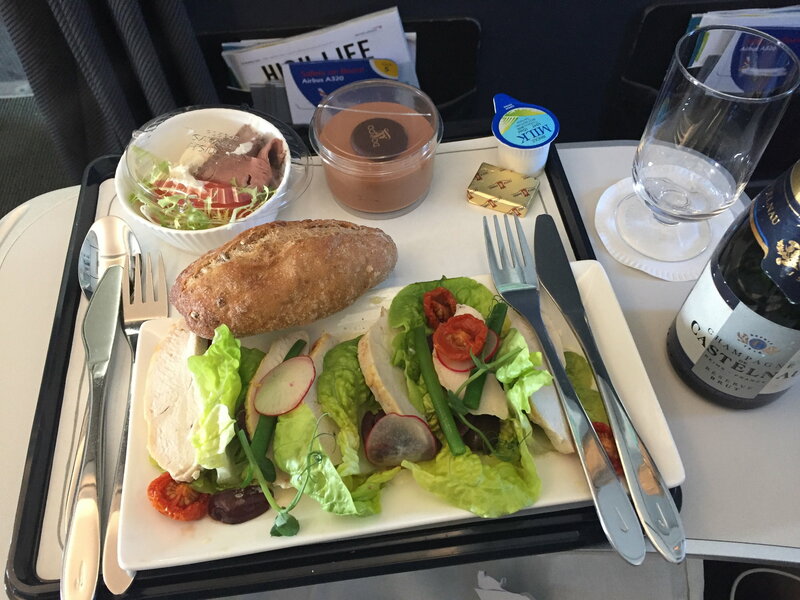 As a side note I had two bottles of champagne; Castelnau with the meal and Pommery on top-up. *delayed at Vienna due to fog in LHR. We boarded at 11.00 and at 11.20 were told we weren't going to move off the tarmac until 1pm. The crew were drinking tea/coffee and a passenger suggested they may like to distribute water to the patient passengers - this was about 12.30, it seemed to genuinely surprise the crew that we may need something. 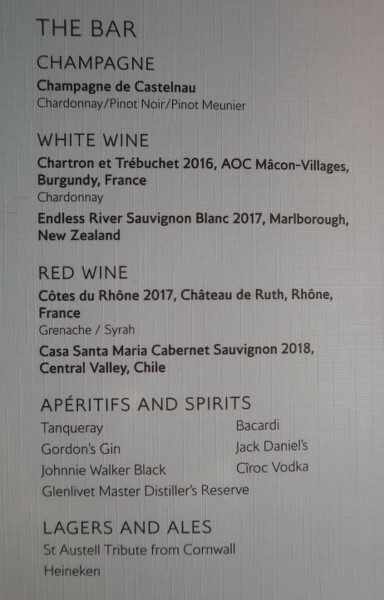 I didn't see how far back they served but am guessing it was only CE. I had Band 1 (LGW - AMS) around the weekend. 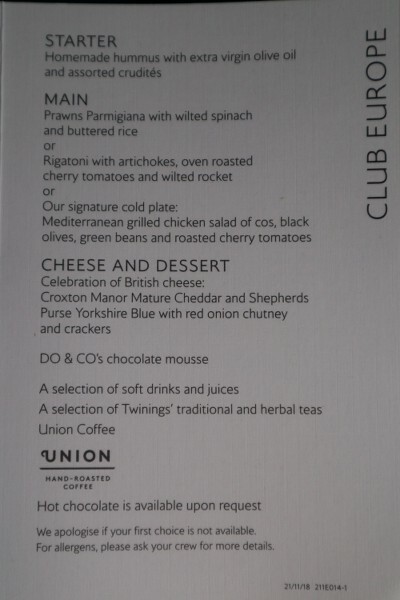 Both were afternoon tea services. outbound I had the trio of sandwiches which I thought were a great improvement over the 3 previous fingers. They were smaller but better tasting. The two mini cakes - again much improved over the previous stodg. Scone was warm and not dry. on the return I had the cheesy ploughman’s. Was less than impressed with this. The mini pasty was cold, palid and dry. The stick of cheese was good but needed to be two pieces. Pickle should be served in a sachet or pot not on the plate. I’mnot a fan of pickle and it had spread to the cheese and pasty so had to cut the pickle off. Prospero, corporate-wage-slave, Tobias-UK and 1 others like this. What is the reason BA won’t let you pre-order in CE? Dover2Golf, DreamTrip and AnaTravel like this.